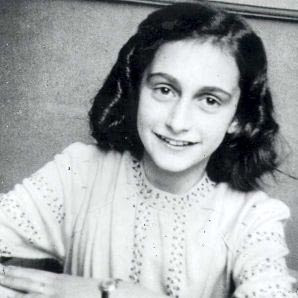 Yesterday, 12th June, would have been the 81st birthday of Anne Frank. Anne was born in 1929 and she lived with her sister and parents lived in Frankfurt in Germany until she was four. In 1933 in Germany, the Nazi party came to power and the family moved to Amsterdam to escape the persecution of the brutal Nazis. After a few happy years in Amsterdam, World War 2 broke out. The Netherlands never expected to be attacked by their neighbours, but the country was invaded and taken over in 1940. Now the Nazis’ policies against Jews would be put in place there too. Anne and her family went into hiding. It is during this time that she kept her now famous diary. Anne’s story does not have a happy ending. After they had been hidden away for over two years, without being able to go outside or make loud noises – Anne and her family were betrayed. They were taken by the Dutch police from their hiding place and were sent to concentration camps in Eastern Europe. All of the family, except Anne’s father, perished there. Even in those desperate times, Anne always believed in the true goodness of people. Cheap grace is the grace we bestow on ourselves. Cheap grace is the preaching of forgiveness without requiring repentance, baptism without church discipline, Communion without confession.... Cheap grace is grace without discipleship, grace without the cross, grace without Jesus Christ, living and incarnate. In our Gospel reading this morning we hear of Jesus sharing a dinner at Simon the Pharisee’s house. The meal would have been in the very fashionable Greco-Roman style, the guests reclining at the table. In the shadows of the surrounding colonnade, it was permissible for the poor to gather, waiting for the occasional morsel or the chance to ask some favour of the rich. From the shadows comes this unnamed woman who silently washes Jesus’ feet with tears of repentance and dries them with her hair, then annointing them with ointment. As far as Luke, the writer of the Gospel is concerned, we have never encountered this woman before and neither has Jesus, and yet we are left in no doubt of the intention of her heart, by the shedding of her tears and the actions of her hands. This woman did not seek the cheap grace that Bonhoeffer wrote about. She knew where Jesus would be, she shockingly brakes all of the social codes by leaving the colonnade to draw close to him and Jesus equally shockingly brakes the religious codes by allowing her to touch him. Their interaction is hugely costly for both of them. But what has she got to lose? Nothing, for her reputation is already in tatters - Luke tells us she was a woman of the city and a sinner - draw your own conclusions. Yet she has reached rock bottom. She can go no further. She knows deep within her being that she can regain a sense of her own worth, her own inner goodness and God-given dignity, through this man Jesus. And so she comes. She offers him all that is left of her in her brokenness. 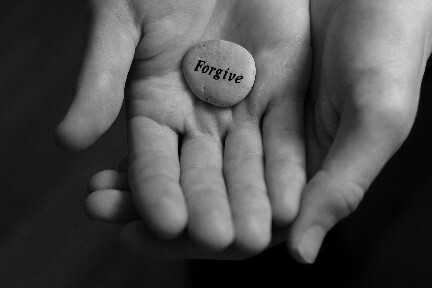 In return, he offers her all that he has, the restoring love and forgiveness of God himself. Renewed, restored, forgiven and loved she turns and leaves. This friends is the miracle of God. God doesn’t wait for this woman, for any of us to be good in heart to love us; he doesn’t wait for us to think we are now somehow more loveable for us to be loved. The story of God and people throughout the centuries is of a God who just loves us - with all the lovely bits we show each other but also the bits we daren’t even show ourselves. The ointment of the Gospel is poured on the life of this woman by Jesus, forgiving her sin and turning her life around. This woman walked in there weeping and longing for recognition, forgiveness and hope, and she walked out of there a changed woman. I believe the change in her must be somehow directly related to the list of names at the end of the reading this morning. Somehow the change in this woman following an encounter with Jesus, affected and impacted the lives of Mary Magdalene, Joanna, Chuza, Susanna and many others. What have we got to lose? We are loved unendingly and eternally by God. He sees our heart. He know what we show others and what we try to hide. He sees even that. In seeing that stuff he does not judge us, but loves us all the more and longs for each of us to be freed from it - free to love and be loved. This morning, reclining around this (Eucharistic) table with us, he offers us not a cheap grace that costs us nothing, but full and lasting forgiveness that cost him everything a love and grace that will if we let it, still transforms us and our world. Amen. As I have been preparing this a song has been going round my head, It is Elton John's - 'Sorry seems to be the hardest word.' Strange that. Sorry seems in some ways to be the easiest word - easy to say. Harder to mean or demonstrate. The sorrow of that woman, through the forgiveness of Jesus, transformed her life in a way that affected others. Jesus saw the intent of her heart by the shedding of her tears and the actions of her hands. There are times when our lives can become more full of the stuff we don’t wish to look at let alone show anyone else. You know when you are in those times when someone asks you how you are and you reply ‘fine’ looking away, avoiding eye contact with a knot in your stomach. This morning, Jesus reclines with us eating around this table. As he offers bread and wine, he calls silently to each of us, as he did to that woman. Jesus longs for us to come to him. 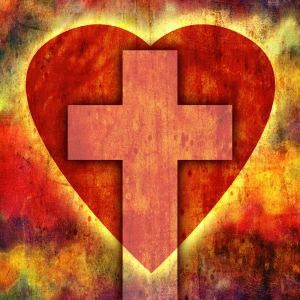 offering him the hearts he alone sees, and in return he offers not cheap grace, but forgiveness and eternal love.